A new study published in Nature Communications suggests that there is a stronger genetic component to the origins of cerebral palsy than previously expected. Researchers collected data from the Canadian Cerebral Palsy Registry and conducted genetic testing on 115 children with cerebral palsy and their parents. They found that about 10% of the children had copy number variations affecting genes that were considered clinically relevant to cerebral palsy. Copy number variations are structural changes to the DNA of a genome that involves gains or losses of genetic material that can lead to a disease. Researchers also discovered that there are several genes involved in the development of cerebral palsy, which would explain why children can be affected by the disorder in a range of ways, in a similar way to autism. The Centers for Disease Control and Prevention states that cerebral palsy is the most common motor disability in childhood. It can affect the movement, muscle tone and posture of a child, which often leads to unsteady walking, involuntary movements and floppy or rigid limbs. Oskoui M. et al., “Clinically relevant copy number variations detected in cerebral palsy,” Nature Communications, doi: 10.1038/ncomms8949, published online August 3, 2015. 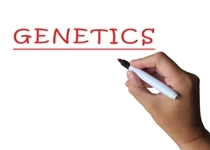 0McIntosh, J., “Evidence found of genetic cause for cerebral palsy,” Medical News Today web site, August 3, 2015; http://www.medicalnewstoday.com/articles/297640.php.